If you are experiencing discomfort in any form we highly recommend that you read the FFDetox book that comes with the Complete Kit, particularly Chapter 11 on Trouble Shooting. Below are some frequently asked question from people completing the FFDetox. 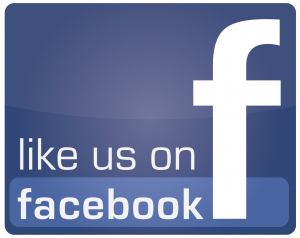 Just like life this page is dynamic, constantly growing and changing, if you have any queries that are not addressed here please feel free to contact us via facebook or email. I am feeling very nauseous, is this normal and will anything help? Nausea is quite common and occurs when the liver is not coping with the amount of toxins being released. Drinking lemon or lime juice in water can help. Peppermint tea has a calming affect on the stomach and fresh ginger root in hot water is also effective. I want to help my body flush away the toxins, how much water should I be drinking while completing the FFDetox? Does herbal tea count? The recommended daily intake of water for women is 2.1L and for men is 3L, but we find those completing the FFDetox will drink more then average. There is no limit on how much water you can have on the program and no specifics either. Herbal tea (with no caffeine) can count towards your daily water intake. Tune into your body, drink when ever you feel thirsty. Keeping an eye on the colour of your urine can be helpful. If it is dark then you need to drink more but light/clear colour indicates you should be hydrated enough. I have a fowl taste in my mouth that will not go away, is this normal? Lots of people experience a fowl taste in the mouth which is caused by the detox ‘die off”, changes in the gastrointestinal tract bacteria due to increased liver function. Drinking peppermint and camomile teas as well as brushing your teeth more regularly then usual can help. Be assured that this taste will eventually go, even if it does not happen until you finish the FFDetox. My muscles and joints are aching, why would this happen and what will ease the discomfort? Pain in muscles and joints is quite common. It is occurs as metabolic wastes stored in cells move into the bloodstream causing inflammation in soft tissue. Run a warm bath with 1/2 cup of bicarbonate soda and some magnesium salts. Remember to allow the body time to rest, particularly during the first three days. What is the best way to take the Wise Nutrients Super Food and Gut Restore? We recommend mixing the Super Food powder in the Gut Restore liquid but you can also have them separately by mixing the powder with still water. I am about nearly finished the 10 Day FFDetox and I really want to continue healthy habits, is it a good idea to practice intermitted fasting? Yes it’s fine to do 1-2 days of intermittent fasting a week. You could also continue to eat your regular diet and supplement with the gut restore and super greens morning and night. Both of these options with help keep your body stay in balance reducing the impact that indulgences/stress have on inflammation in the body. You can read more about intermittent fasting in our articles section HERE.